Garage doors today are made to a much higher caliber than ever before. This is also the case for the professional service plans that can help keep your residential garage door working seamlessly, and safely, year after year. When you book a garage door service with the Overhead Door Company Of The LA Basin you can expect a fully qualified garage door technician to give you a 29 point safety inspection every time they visit. 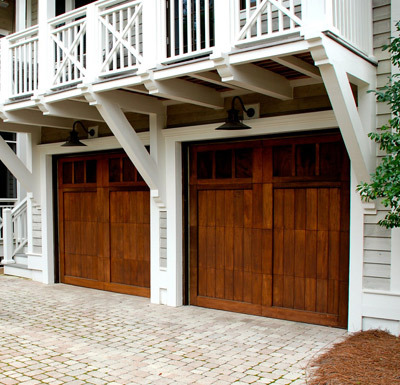 Have you really ever stopped to think about how much you use, and rely upon your garage door? Here in Los Angeles, residential garage doors are used all the time - Think about how often you use yours, more than likely it is multiple times every day? 9 times out of 10 a residential garage door is the single largest moving piece within someone’s home. When looked at from this standpoint, it can make a lot more sense as to just how important it is to stay up to date with your garage door service and maintenance. What's The Worst That Could Happen With Poor Garage Door Maintenance? Not only can your garage door be the largest piece of movable equipment attached to your home, but it can also be one of the more dangerous ones too, if not given regular maintenance. Normal daily usage often comprises of residential garage doors being used as entry and exit points for your home, taking out the garbage, going out to get the mail, not to mention the safe and secure housing of your vehicles! Everyone knows that their car or truck need regular maintenance due to its constant use, and this is the same for garage doors. All it takes is one broken door spring or a faulty safety cable and the very worst can become a reality. Whilst faulty doors causing fatalities is an extremely rare, worst case scenario, personal damage from under maintained garage doors are unfortunately much more common. One of the most frequently reported injuries are those to the fingers, which are mostly caused by manually pulling down garage door sections that do not conform to DASMA (Door & Access Systems Manufacturers Association) safety standards. Even the most well cared for garage doors in Los Angeles will find that father time eventually catches up with them. Parts eventually wear down through constant usage, springs will loosen and become unbalanced. These are but a few potential issues that a yearly garage door service can identify before they become a bigger problem. 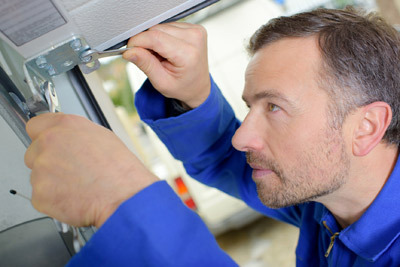 Professional and regular servicing can help you avoid expensive door repairs which, along with property and vehicle damage that the faulty door equipment might have caused, can quickly add up to large amounts of money. This is why, if used on a regular basis, regular garage door servicing can end up saving you money and let you stop worrying about any potential safety issues. Here at the Overhead Door Company Of The LA Basin, we pride ourselves in being Los Angeles’s top garage door service company by offering one of the most comprehensive inspections available. When you book a garage door service with us, you can expect one of our uniformed and professionally trained garage door technicians to arrive promptly for your service appointment. They will perform our ‘best in the business’ 29 point safety inspection to help uncover any issues your garage door may have, however small they are. Our technician can then make recommended repairs and perform any needed preventative maintenance that will help keep your door working without issue. No matter the size, should our garage door technician find any additional problems when servicing your door, they will always give you a diagnosis of every issue found, and an estimate for any additional costs. At the Overhead Door of the LA Basin company, our aim is always to gain your 100% satisfaction with our services and products. We offer a 1 year guarantee to all of our customers and promise to get things right on our first visit, or any additional trip to fix the same garage door problem is 100% free. So why wait? Get your garage door maintenance back on track with one call to our friendly and professional servicing team today, at (909) 206-5110, they are looking forward to hearing from you.